Picnic Furniture's commercial fiberglass trash cans are built to be lightweight and durable while maintaining a sophisticated style perfect for indoor and outdoor public locations. The smooth fiberglass surface is easy to clean and is an optimal choice for areas where corrosion is an issue such as beachside resorts and restaurants. 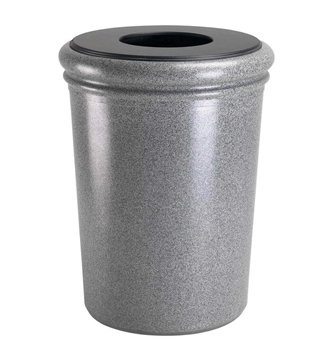 Available in many sizes from 30 to 50 gallons and featuring a range of different top styles our fiberglass trash receptacles offer a solution for any waste management needs. 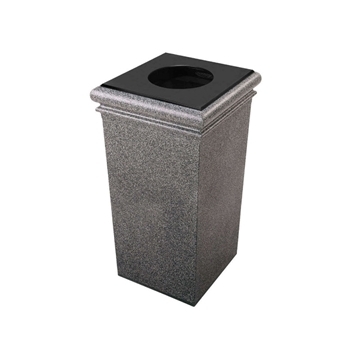 Fiberglass trash cans from Picnic Furniture are commercial quality crafted to withstand years of public exposure. Fiberglass is noncorrosive and excellent for pool decks as they prevent staining or discoloration. We offer a variety of styles and finishes to match your venue's decor. Featuring many different sizes to accommodate large amounts of trash at parks, hotels, schools, restaurants nationwide.